3M QTEN Cold Shrink HV High Voltage Terminations are designed for cable terminations of 66kV single core polymeric insulated power cable systems (XLPE EPR) with copper wire screen, copper tape screen or lead sheath up to 72.5kV Umax voltage class according to IEC 60840 in exposed and outdoor locations – including dry, semi-wet and wet design 66kV array cables with copper or aluminium conductors up to 2000sqmm. 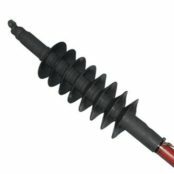 3M QTEN cable terminations includes a cold shrink body with integrated, silicone elastomeric insulation and outer silicone rain sheds with a separate cold shrink stress control PST. The HV High Voltage cable termination kit also includes silicone cold shrink tubes for sealing onto the cable sheath and the cable lugs. The inner refractive stress control layer and the silicone insulation layer are co-extruded during the manufacturing process. The cold shrink termination is designed to accommodate all available cable lug designs including, hexagonal or deep indent crimp, as well as mechanical shearbolt type including Pfisterer Sicon brand. 3M cable terminations meet and exceed the requirements of the CENELEC HD 629.1 European standard as well as IEC 60840. 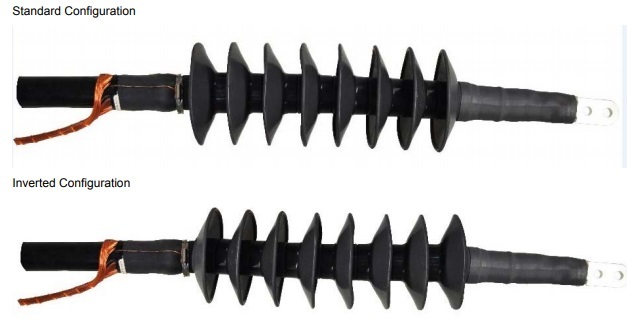 Complete range of 66kV cable joints are available using 3M Cold Shrink to connect and joint inline/straight high voltage cables in vertical or horizontal configuration. The versatile design of the silicone cold shrink termination body allows installation on a wide range of cable sizes and types and a fast and easy installation at temperatures ranging from – 20°C to + 50°C. 3M QTEN Cold Shrink technology ensures quick, easy and safe installation of the QTEN termination body and outer rain sheds and sealing tubes by pulling and unwinding the plastic support core in counter clockwise direction. The use of special tools is not necessary ti install the terminations but suitable cable jointing tools must be used to remove cable insulation, semicon screen and outer sheath. Detailed Jointing Instructions for installing the 3M QTEN termination are included in each kit. 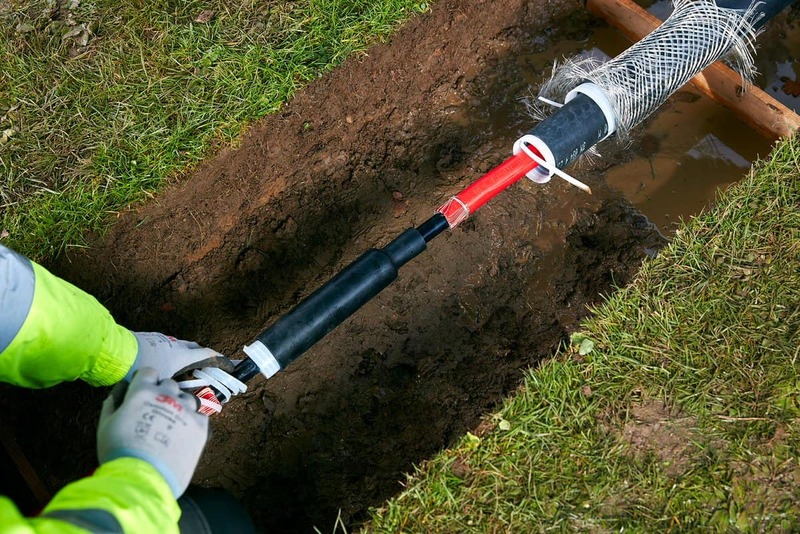 Modern technology Cold Shrink has led to 3M terminations being adopted by international utilities to replace porcelain oil terminations on cable replacement projects where old leaking terminations are exhibiting end-of-life performance on high voltage transmission and distribution networks. 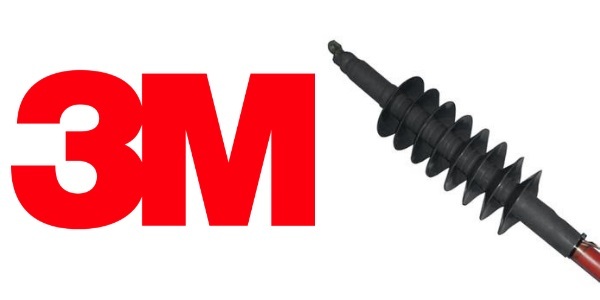 3M QTEN Series termination kits are marked with supplier name, cable cross section ranges, voltage class and cable type, storage conditions and manufacturing codes for product traceability. Also: 3M Cold Shrink Cable Terminations for medium and high voltage 11kV 33kV 66kV cable terminating. 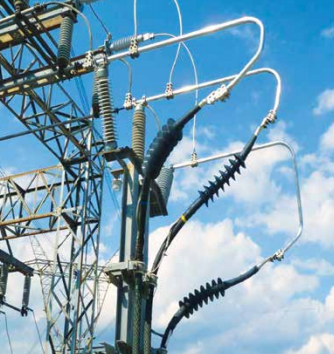 3M Cold Shrink terminations are in widespread service throughout the renewable energy industry enabling efficient and sustainable supply of high voltage electrical power from array cable systems and strings to power grids. Offshore wind is an essential component of renewable energy which is significantly improving its cost competitiveness over the last few years. Nevertheless wind farm developers are always looking at ways to reduce Levelized Cost of Energy (LCE). 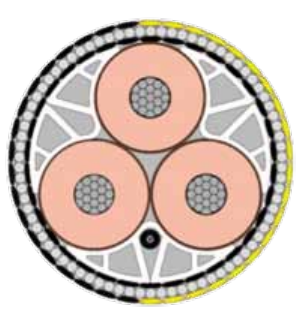 Among the technology developments enabling LCE reduction several independent studies have shown that use of array cables operating at 66kV instead of 33kV presents considerable advantages on typical offshore wind farm systems – this has led the development of cable joints, terminations and separable connectors to be developed for 66kV array cables. Above based on Prysmian Group information – Prysmian EPR insulated cables are compatible with Prysmian’s full range of accessories including Prysmian Clickfit and Prysmian Elaspeed cable joints and terminations. ♦ IEC 60840:2011 specifies test methods and requirements for medium/high voltage power cable systems, cables alone and accessories alone, for fixed installations and for rated voltages above 30kV (Um = 36kV) up to and including 150kV (Um = 170kV). The requirements apply to MV HV single-core cables and to individually screened three-core cables and to their accessories for usual conditions of installation and operation, but not to special cables and their accessories, such as submarine cables, for which modifications to the standard tests may be necessary or special test conditions may need to be devised. Two Times More Power. Jointers! 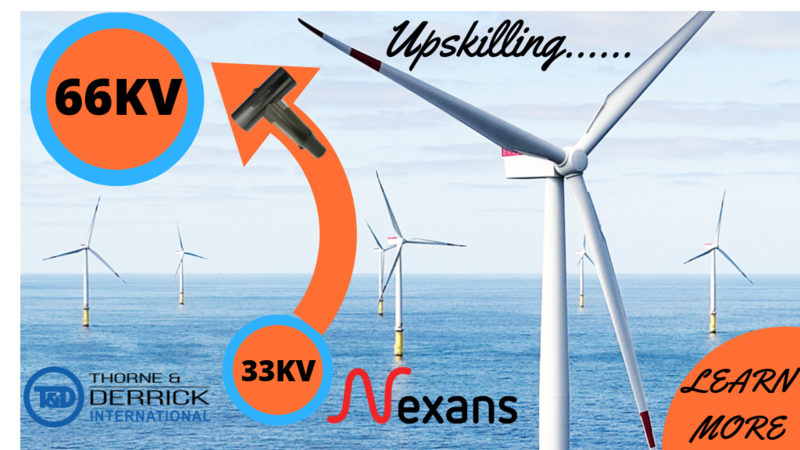 Empower your CV and skill-set by grasping the 66kV Jointer Training opportunity. Jointers must currently be 33kV Competent and experienced to be ready to undertake the step-up to 66kV from 33kV. Contact us for details about 66kV Jointer Training Courses. ➡ Should you require customer service or technical support on the selection or specification of LV MV HV Cable Accessories please contact us – view the full range of 3M 66kV Cable Terminations below.